We are engaged in offering wide range of Inkjet Dyes which is also used as Dyes For Stationery Ink. we are offering these dyes to our clients at industry leading rates. Very good solubility and stability in wide range of solvents. Offering you a complete choice of products which include Reactive Dyes such as Reactive Hot Brand Dye, HE Type Reactive Dyes, Hot Brand Dyes, Reactive Cold Brand Dye and Reactive Red 120 & Inkjet Dye. We are one of the leading manufacturers, suppliers and exporters of a black dye with good all round fastness properties including alkaline and wet crocking fastness. The product is highly recommended for different types of leather by using various dyeing techniques to produce jet-black shades. 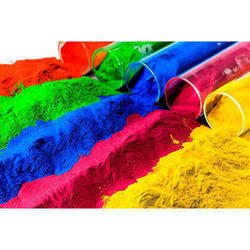 We offer a wide assortment of basic dyes for ink that are widely used for making inks and coating. 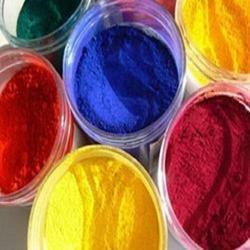 These ink dyes find diverse application in many industries and have achieved accolades for their qualitative features. These dyes are formulated using quality material and undergo stringent quality tests to offer optimal satisfaction to our client.